A car somehow managed to land on the garage roof of a home in Palos Verdes Estates, California on Wednesday afternoon. 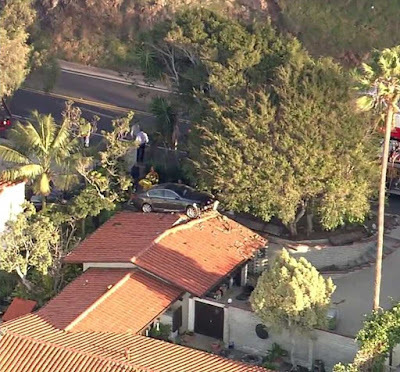 The unusual incident occurred just before 4pm on Palos Verdes Boulevard. “You just can’t believe how dumb it is,” said the owner of the home, who was inside the residence at the time. “Awful!” She said she was inside playing Solitaire when she felt a sudden jolt. The woman’s hillside home is below the street. Firefighters say the driver hit two parked cars and rolled through a yard before launching onto the roof of the home's garage. The driver was pulled from the wrecked vehicle and was conscious. Firefighters believe a medical problem caused the driver to lose control. The driver was not severely hurt. 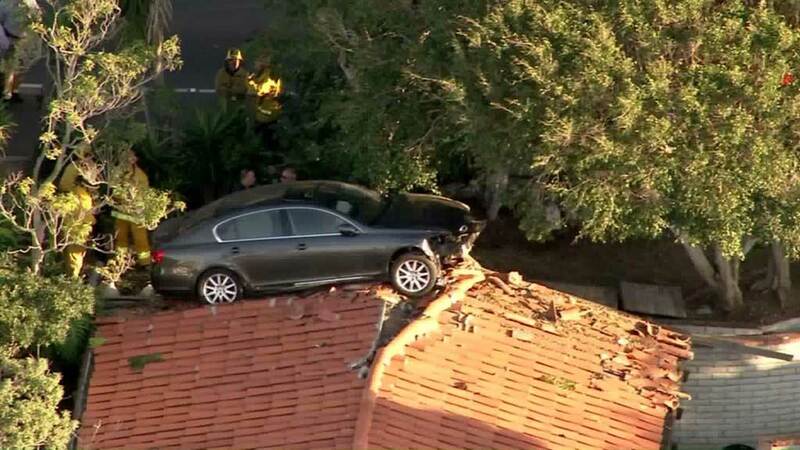 Police blocked the road and called for a crane to pluck the car from the rooftop. 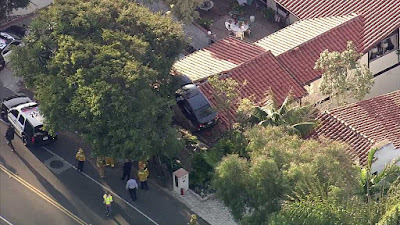 “This was really something to land on a roof,” said a next-door neighbour who said that this is not the first time a car crashed into a home along the busy road. She fears it won’t be the last. “It happens all the time,” she said. Firefighters say the driver has been hospitalised in good condition. He is being treated for his injuries.